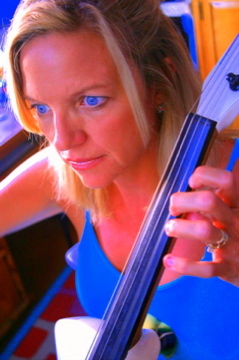 Kirsten's featured cello performances include film scores (which she and composed and film scores of other composers), songs, dance scores and more. Kirsten records in her home studio, with eLogic software and emails projects all over the world! She records on acoustic cello or electronic cello, depending on project and can record multiple tracks....creating a full string section sound.